Leipers Fork Lodging welcomes you. Memories to last TWO lifetimes! 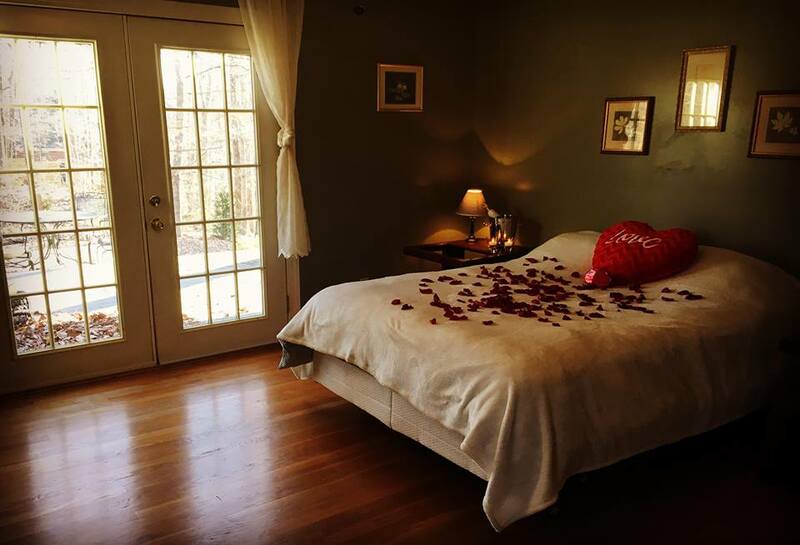 Leipers Fork Lodging invites couples to enjoy a romantic Valentine’s Weekend getaway. Just 30 minutes outside of Nashville, the properties in Big East Fork Valley are nestled in over 2,000 acres of protected forest - a picture-perfect location for some truly romantic R&R! 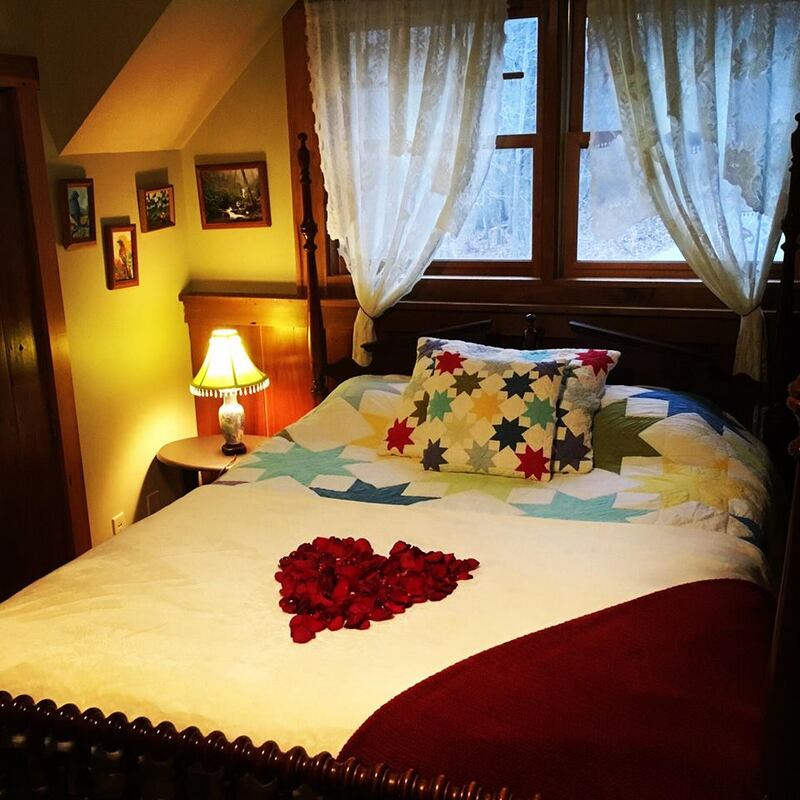 This year’s Valentine’s Romantic Weekend Packages is offered Feb 14 through Feb 17. Romantic week-end packages are offered weekends in January, February, March, April, and May. 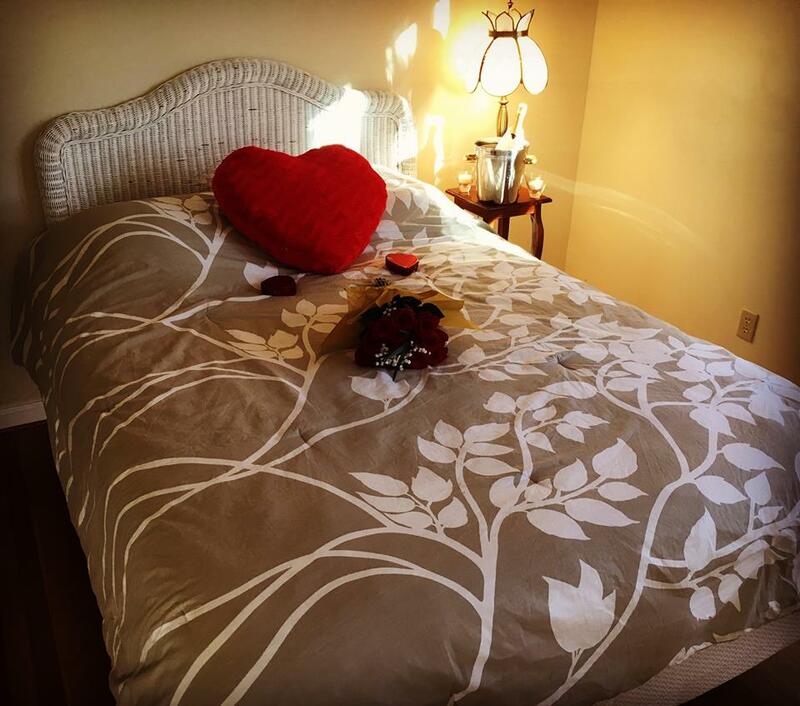 Rooms are presented with flowers, fine chocolate, sparkling drinks (alcoholic or non), and luxurious gift basket. Welcome fireside gathering with drinks and music. Personal chef available for meals catered to your specific needs. Saturday evening candle-light romantic dinner with open gorgeous fireplace. Complimentary day passes to nearby Big East Fork Retreat* with access to hiking trails, retreat center social room, and outside decks with lake-view. 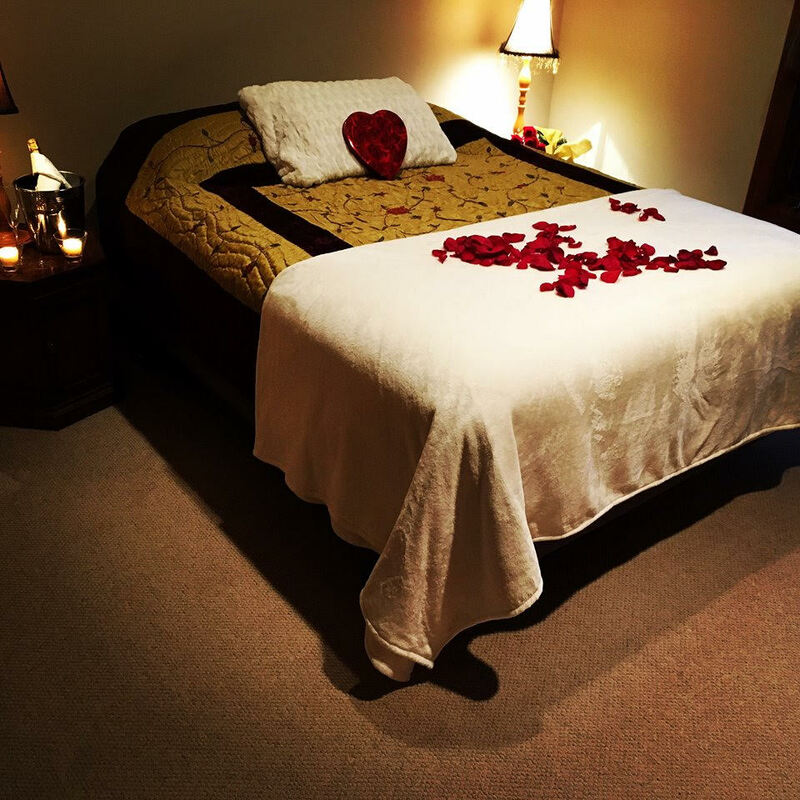 Solo or couple massages, sauna, and hot tub available by prior arrangement. Guided horseback riding available from Southeast Packtrips on scenic trails throughout our gorgeous valley. Sunday couples massage workshop available by prior arrangement. Private spa services: Hot tub, sauna, yoga available by prior arrangement. Private chef for dinner and breakfast-in-bed (optional) and Sunday brunch: Contact Chef. Sauna and hot tub: Private hourly session $60/ hour. Booking in advance is advised. Horseback riding (guided): $75 (1 hour), $100 (1.5 hour). To see the whole houses and locations of the rooms, click here. 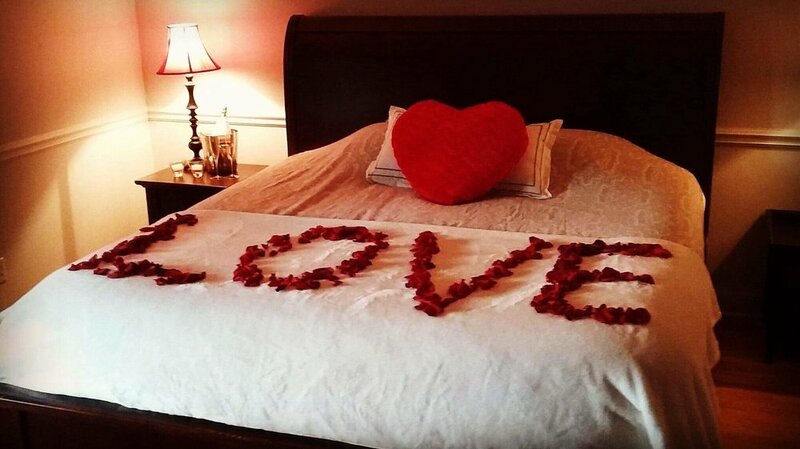 Guest couples staying during our Romantic Weekends are assured a private full bathroom during their stay.